Earthquakes and tsunamis unleash powerful forces of nature and can cause catastrophic damage. 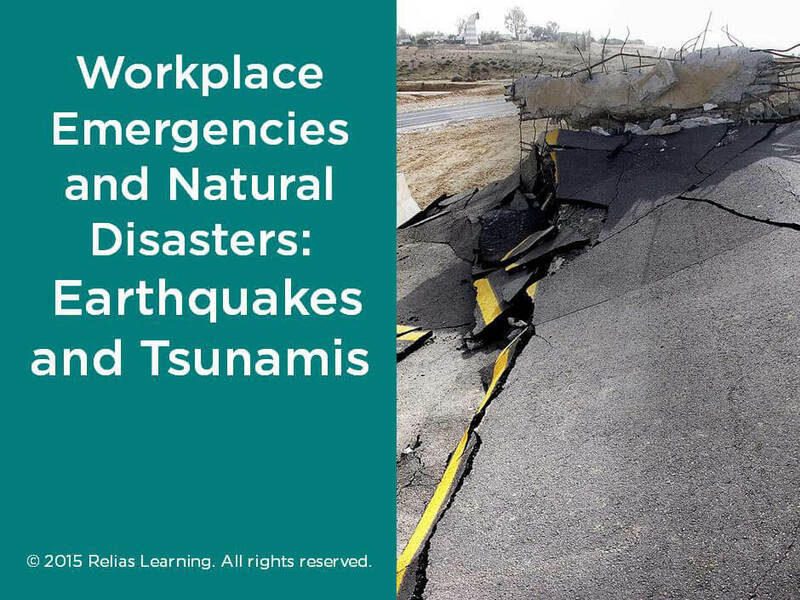 This course presents some basic facts about earthquakes and tsunamis, including guidelines for preparedness and recommended protective actions. This program is approved for 0.50 hours by the Dietary Managers Association. Approval code 163056. Explain why and where earthquakes and tsunamis occur. Secure potential hazards in your workspace before an earthquake to minimize injury. Take protective actions to stay safe during and after an earthquake or tsunami. John Burnap is a multi-disciplinary emergency preparedness and response professional with over 25 years of experience with local, state-wide, and federal level emergencies and disasters. His work in emergency response started at age 18 as an Emergency Medical Technician in California, and includes expertise as a firefighter, American Red Cross disaster response specialist, FEMA evacuation planner, hospital emergency preparedness manager, and electric utility emergency planner. In his current role he serves as Emergency Preparedness Specialist and Logistics Branch Director for one of the largest electric utility companies in New England, while consulting privately on emergency preparedness training and exercises. Disclosure: John Burnap has declared that no conflict of interest, Relevant Financial Relationship or Relevant Non-Financial Relationship exists.